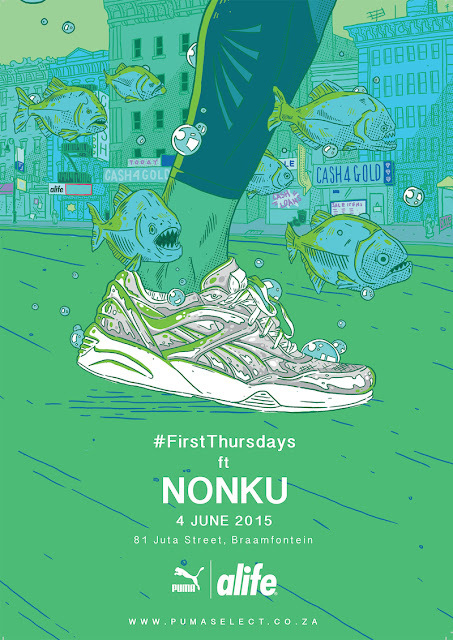 This week PUMA will be involved with #FirstThursdays in Cape Town and Joburg on 4 June 2015. The PUMA x ALIFE collection will be in the spotlight for #FirstThursdays. The collection seamlessly pulls together ALIFE’s diverse creativity while staying true to PUMA’s heritage. Through apparel, footwear and accessories the collection tells the story of Downtown New York; an integral part of PUMA’s rich street wear history. Bright prints play on key ALIFE landmarks that bring the collection to life. Influences include green photographic stills of the infamous in-store fish tank and the three-diamond logo of ARC (ALIFE Rivington Club), ALIFE’s members only boutique. Nonku will be performing on the night in Joburg. Beer and food will be available in both cities. 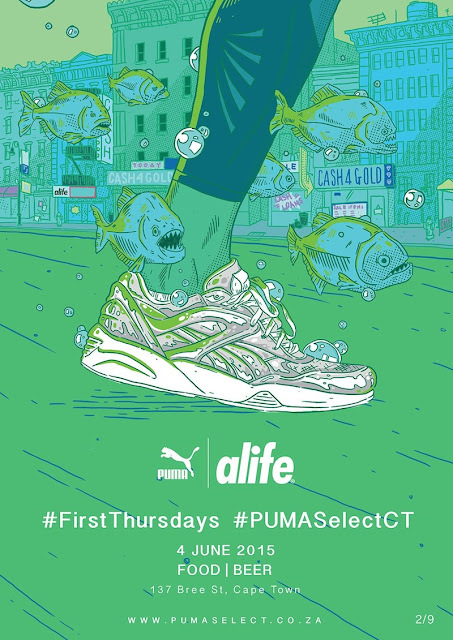 You can tweet @PUMASouthAfrica on the night using #PUMASelectCT, #PUMASelectJozi or #PUMASelectZA.